You cannot count on snails to control algae in aquariums. At best, they act as a stopgap measure, preventing algae from getting completely out of hand. However, you will probably need to address the underlying problems to prevent algae from getting out of control. Still, a few snails do make decent algae eaters, and can help you keep on top of algal issues. Algae needs two things to grow: light and nutrients. If you have too much of either in your aquarium, you will experience some kind of issue with algae. For example, if your fish tank sits in direct sunlight, you will constantly battle algae. Similarly, if your aquarium has too many fish in it, algae issues will probably follow. In these cases, these issues can cause other problems. For example, a sunny aquarium may overheat and an overcrowded aquarium will suffer from problems with water chemistry. If you do not address these underlying issues, all the snails in the world won't fix the problem. Ramshorn and pond snails, in tropical and subtropical varieties, reproduce relatively rapidly and grow to around the size of a dime. Ramshorn and pond snails lay jelly-like masses of eggs. While they won't completely clean your tank of algae, they can help keep it back. 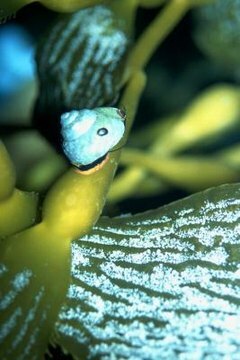 These tiny snails often get introduced to aquariums by accident, hitching a ride on live plants. If you have excessive algae, they can overrun an aquarium. The trumpet snail, also called the Malaysian needlepoint snail, reproduces via live birth. On top of this, they don't need to mate to produce young, allowing them to reproduce extremely fast, even for a snail. They reach a full size of about an inch. These snails spend their day burrowing in the gravel, and come out en masse at night to feed on algae. Like other aquarium snails, they can overrun a tank with excessive algae and often get introduced to the aquarium by accident on plants. The mystery snail grows to the size of a ping-pong ball. These snails will reproduce in a fish tank, but not as fast as smaller snails. They also won't bother most aquarium plants. Their close relative, the apple snail, will also eat algae. However, apple snails grow larger, to about the size of their namesake fruit, and will decimate aquarium plants.